یاوری, رضا, محمدزمان, ایمان, عاروان, محمدرضا. (1395). طراحی هدایت و کنترل یکپارچه‌ با ترکیب روش‌های کنترل مد لغزشی و گام به عقب. علوم و فناوری فضایی, 9(4), 39-50. رضا یاوری; ایمان محمدزمان; محمدرضا عاروان. "طراحی هدایت و کنترل یکپارچه‌ با ترکیب روش‌های کنترل مد لغزشی و گام به عقب". علوم و فناوری فضایی, 9, 4, 1395, 39-50. یاوری, رضا, محمدزمان, ایمان, عاروان, محمدرضا. (1395). 'طراحی هدایت و کنترل یکپارچه‌ با ترکیب روش‌های کنترل مد لغزشی و گام به عقب', علوم و فناوری فضایی, 9(4), pp. 39-50. یاوری, رضا, محمدزمان, ایمان, عاروان, محمدرضا. طراحی هدایت و کنترل یکپارچه‌ با ترکیب روش‌های کنترل مد لغزشی و گام به عقب. علوم و فناوری فضایی, 1395; 9(4): 39-50. در این مقاله، طراحی هدایت و کنترل یکپارچه با ترکیب روش‌های‌ کنترل مد لغزشی و گام به عقب صورت گرفته است. این روش برخلاف روش‌های سنتی موجود با تلفیق معادلات سینماتیکی و دینامیکی و استخراج یک فضای حالت یکه به‌صورت مدل‌سازی یکپارچه، با مسئلة طراحی هدایت-کنترل به‌صورت یک تک حلقه برخورد می‌کند. روش فوق در مقابل نامعینی‌های ناشی از مدل دینامیکی رهگیر و شتاب هدف مقاوم است. نتایج شبیه‌سازی در سه بعد با در نظر گرفتن دینامیک شش درجه آزادی نشان می‌دهد که طراحی هدایت و کنترل یکپارچه با هم‌افزایی زیر سیستم‌های هدایت و کنترل منجر به برخورد مناسب با هدف مانوردار می‌شود. In this paper, a novel integrated guidance and control (IGC) approach is designed using the combination of backstepping and sliding mode control methods. In contrast to the traditional methods combining the kinematic and dynamic equations and deriving a state space model as an integrated unit model, the proposed method designs the guidance and control problem in a single loop. This algorithm is robust with respect to the uncertainties in the target acceleration and missile dynamic model. Simulation results using six-degrees-of-freedom simulation aerodynamic model (6DOF) and three-dimension (3-D) engagement show that the proposed IGC design, with guidance and control dynamic synergism, eventuates interception with the maneuvering target. Zarchan, P., Tactical and Strategic Missile Guidance, AIAA, 2002, pp Reston. Nathan, H., Balakrishnan, S.N. and Craig, P., “Sliding Mode Integrated Missile Guidance and Control,” AIAA Guidance, Navigation, and Control Conference, Toronto, Ontario Canada, August 2010. Shkolnikov, I., Shtessel, Y. and Lianos, D., “Integrated Guidance-Control System of a Homing InterceptorSliding Mode Approach,” Presented as Paper AIAA, 2001-4218 at the AIAA Guidance, Navigation, and Control Conference and Exhibit, August, 2001. Shtessel, Y. and Buffington, J., “Continuous Sliding Mode Control,” Proceedings of the American Control Conference, 1998. Brown, M., Shtessel, Y. and Buffington, J., “Finite Reaching Time Continuous Sliding Mode Control with Enhanced Robustness,” Proceedings of the AIAA Guidance, Navigation, and Control Conference, Denver, CO, August, 2000. Shtessel, Y., Shkolnikov, I. and Brown, M., “An Asymptotic Second Order Smooth Sliding Mode Control,” Asian Journal of Control, Vol. 5, No. 4, 2003, pp. 498 – 504. Shtessel, Y. and Shkolnikov, I., “Integrated Guidance and Control of Advanced Interceptors using Second Order Sliding Modes,” Proceedings of the 42nd IEEE Conference on Decision and Control, 2003. Shtessel, Y., Shkolnikov, I. and Levant, A., “Guidance and Control of Missile Interceptor using Second-Order Sliding Modes,” IEEE Transactions on Aerospace and Electronic Systems, Vol. 45, No. 1, 2009, pp. 110-124. Shtessel, Y. and Tournes, C., “Integrated Higher-Order Sliding Mode Guidance and Autopilot for Dual-Control Missiles,” Journal of Guidance, Control, and Dynamics, Vol. 32, No. 1, 2009. Shima, T., Idan, M. and Golan, O., “Sliding-Mode Control for Integrated Missile Autopilot Guidance,” Presented as Paper AIAA-2004-4884 at the AIAA Guidance, Navigation, and Control Conference and Exhibit, August 2004. Chen, H., Dong, C. and Wang, Q., “Integrated Guidance and Control Backstepping Design Based on Integral Sliding Mode Surface for Missiles,” Presented as Paper 33rd Chinese Control Conference, July, Nanjing, China, 2014. Mohammadzaman, I. and Momeni, H.R., “Short Time Stability Approach to Guidance Law Design,” Journal of Space Science and Technology, Vol. 3, No.2, 2010, pp. 37-44 (In Persian). Slotine, J. J. E. and Li, W., Applied Nonlinear Control, Prentice–Hall, Upper Saddle River, NJ, 1991, pp. 276–309. Khalil, H. K., Nonlinear Systems, 3rd edition [M], New Jersey, Prentice-Hall, Chap 4, 2002. Moon, J., and Kim, Y., “Design of Missile Guidance Law Via Variable Structure Control,” Proceedings of AIAA Guidance, Navigation and Control Conference, Denver, CO, 2000, Paper AIAA-2000-4068. Hong, Y.G., “Finite Time Stabilization and Stabilizability of a Class of Controllable Systems,” Systems & Control Letters, Vol. 46, No. 4, 2002, pp. 231–236. Shtessel, Y., Shkolnikov, I., and Brown, M., “An Asymptotic Second Order Smooth Sliding Mode Control,” Asian Journal of Control, Vol. 5, No. 4, 2003, pp. 498 – 504. Shtessel, Y. and Shkolnikov, I., “Integrated Guidance and Control of Advanced Interceptors using Second Order Sliding Modes.” Proceedings of the 42nd IEEE Conference on Decision and Control, December, 2003. Shtessel, Y., Shkolnikov, I., and Levant, A., “Guidance and Control of Missile Interceptor using Second-Order Sliding Modes,” IEEE Transactions on Aerospace and Electronic Systems, Vol. 45, No. 1, 2009, pp. 110-124. Chen, H., Dong, C. and Wang, Q., “Integrated Guidance and Control Backstepping Design Based on Integral Sliding Mode Surface for Missiles,” Presented as Paper 33rd Chinese Control Conference, Nanjing, China, July 2014. Mohammadzaman, I. and Momeni, H.R., “Short Time Stability Approach to Guidance Law Design,” Journal of Space Science and Technology, Vol. 3, No.2, 2010, pp. 37, 44 (In Persian). Moon, J. and Kim, Y.,“Design of missile guidance law via variable structure Control,” Proceedings of AIAA Guidance, Navigation and Control Conference, Denver, CO, 2000, Paper AIAA-2000-4068. Qian, C., Lin, W., “Non-Lipshchitz Continues Stabilizer Fornonlinear Systems with Uncontrollable Unstable Linearization,” System and Control Letters, Vol. 42, Issue 3, 2001, pp.185-200. Ozgoli. 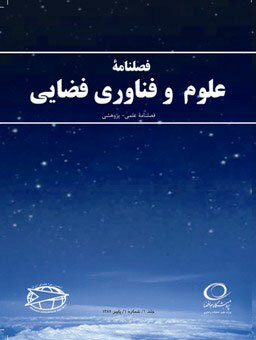 S. and Arvan, M.R., Modeling and Simulation of Moving Systems, Ya Mahdi Publication, 2010 (In Persian). Arvan, M.R., Modeling of Electro-Optical Seeker and Line of Sight Rate Estimation in the Presence of Disturbances, (PhD Thesis), KN Toosi University, 2006 (In Persian). Arora, V.K., Former Director Defence Science Centre Delhi, Proximity Fuzes Theory and Techniques, Defence Research and Development Organization Ministry of Defence NEwDELm-110 105 2010. Siouris, G. M., Missile Guidance and Control Systems, Springer-Verlog Publisher, 2004. Kahveckuglu, A.,Tool for Designing Robust Autopilot for Ramjet Missiles, (M. Sc. Thesis), The Graduate School of Natural and Applied Sciences of The Middle East Technical University, 2006. Theodoulis, S. and Duc, G., “Missile Autopilot Design Gain Scheduling and the Gap Metric,” Journal of Guidance, Control and Dynamics, Vol. 32, No. 3, 2002, pp. 986 -996. Mingzhe, H., Xiaoling, L. and Guangren, D.,“Adaptive Block Dynamic Surface Control for Integrated Missile Guidance and Autopilot,” Chinese Journal of Aeronautics, Vol. 26, Issue 3, 2013, Pages 741-750. Fridman, L., Iriarte, R. and Moreno, J., Sliding Modes after the First Decade of the 21st Century, Springer-Verlag Berlin Heidelberg, 2011. Eker, I., “Sliding mode control with PID Sliding Surface and Experimental Application to an Electromechanical Plant,”ISA Transactions, Vol. 45, Issue 1, 2006, pp. 109–118. Rubagotti, M., Estrada, A., Castanos, F., Ferrara, A. and Fridman, L., “Integral Sliding Mode Control for Nonlinear Systems With Matched and Unmatched Perturbations,” IEEE Transactions on Automatic Control, Vol. 56, Issue 11, 2011, pp. 2699 – 2704.